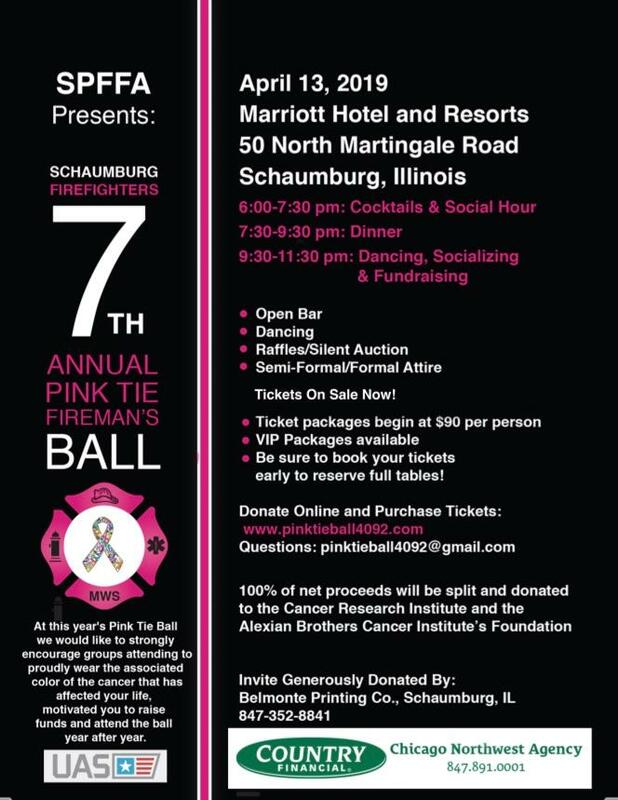 The goal of the Schaumburg Firefighters Association is to help people. In 2012, the Schaumburg Fire Fighters Association decided to take on one of the world’s largest epidemics that affects both men and women of all ages. The Pink Tie Ball is a fundraising event for cancer research and support. The evening begins with cocktails and hors d'oeuvres in the Hotel’s atrium. Soon thereafter, guests are welcome to enjoy the elegant meal. The meal will be accompanied by a short tribute video created to honor the men and women who have fought so bravely against cancer. Throughout dinner, guests will also have to opportunity to be truly inspired by the testimonies of some of our honored guest speakers/survivors and philanthropists.